Club Penguin Cheats by Mimo777 Club Penguin Cheats by Mimo777: CHOBOTS Party Today! UPDATE! So let's do the CHOBOTS party thing tomorrow! IT WILL BE A RAIN PARTY! Hey Mimo, what's a rain party? Well, its a party where it rains FREE ITEMS! WOOT! Click here to see our last Mimo Chobots Rain Party. Freaky cool things happen! Seriously cool stuff is going to RAIN! See you there! Click here and get ready now! hey cpg mods, How does mimo get mimo items and servers onto these games like chobots and webosaurs? Did he like, make the games or something?! It's crazy to me, so I'm asking. Please please someone reply! Umm, I don't have a Chobots or a Webosaurs. Should I get a Chobots? Is it fun, even for bubbly dorky blond girls like me? Oh, and you should totally have, like, a New Years Bash on CP, on New Years day, at, like, midnight! But wait, some peeps are in different time zones, but in CP time, so for me it would be at 2:00 A.M....yeah not gonna happen for us U.S. citizens! Sorry for the idea, but you can always do a different time! Hey Mimo777, idk what time is mine plz help i live in the u.s.a so will it be in pst time plz help i really want to go to a party! It depends on where you live in the USA, PST is Pacific Standard Time, EST is Eastern Standard Time, CST, which I think is a time zone is Central Standard Time. Mimo, if no one forgived you then why would we be here, jk, lol. Sure we all will forgive you. Maybe you were busy right then so you didn't really think about the question. Mimo is a special wizard from a world name Mars, he skateboards with pumpkins and loves to eat cereal with Red Bull, I think it was. He is an awesome wizard that works on making ppl happy. jk. I'm not sure how he does it. Depends, people like different games like some people don't like club penguin, or other games but they might like Chobots, or they might not like enther of the games or they may like both of the games. So it depends on the person, so bubbly dorky blond hir girls might like the game and maybe weird, geeky, brown hair girls like me will like the game too. umm how to find the bells for the santa? im new so i cant find... anyone tell me plz?? Good News! You didn't really lie. At first you said it was the last party on WEBASUARS in 2009. However, this party's on Chobots. P.S. You actually did lie by saying that you lied. Yeah, I forgive you. On the bright side, there's 1 more party! WOOT! I'll try to remember cause I'm usually busy. Well Mimo's quite a famous person so the Chobots and Webosaurs team give him these things I think. Yeah, you totally should get a Chobots account! The game is awesome, and now I've been on it for 116 days now! Hopefully see you at the party! Hey Mimo! It was so cool to meet you on Webosaurs yesterday! You're so cool! Anyway, I'll try my best to meet you there! Mimo can we please have a binweevils party??!! Can't come becuz of meh birthday i'm going to the cinemas. mimo how do you rain, when your not a mod? ummm... what that means in chobots time? plzzzzzzzzz answerrrrrrr plzzzzz i'm begging u!!! OK mimo i forgive u i cant wait to meet u Ive always wanted to meet u ! your so cool which mod will come? will it rain space man suits? and to hnwjanuary do make a chobots account coz it rules i will be coming mimo see u later ! Ok, this has nothing to do with the post, but how many codes on CP do you need to have to unlock the special page? thats not fun. =( i have school then. You spelled tomorrow wrong and I forgive you. Guess what...KKKKKK123 IS BACK IN BUISNESS!!! Sorry for not modding or anything but I went round my Auntie's and Uncles house for Christmas and I only just got back!!! Lol! Now i'm back i'll give this site the full attention I have!!! Lol! Er good idea! But the times sorta let us down! I mean this is probably the first good time for me for a party! But I don't have them!!!! Lol!! Sorry Mimo only CP! Mimo is seriously famous! He has peeps looking at his site from the US, the UK (me!) and lot's of other places to! He has his own server on one game! It's cause he's awesome!! Ok I will see you there mimo! Dude just say the penguin standard time (PST) instead. RAIN PARTY!!! Awesome!! I will totally be there! P.S. Who couldn't forgive you? Parties are awesome! Well yeah I kind of agree because before Chobots and Webosaurs were created, we used to have Club Penguin Parties all the time. I never played Chobots before, but I think you should try it! If you feel a little bored on Club Penguin, try something new. Well it depends on which state you live in, but we can't say our personal information, try asking your parents! :-0 Awesome! You had a great eye on that one! I think Mimo didn't even notice that! Yeah, I hate when people make hoax like that like when people said if you get off the middle, Cadence will come. Mimo is like really famous so really I think they inform stuff to him and things like that! Hopefully I'll be coming! I made a Chobots account several months ago, so right now I'm trying to remember my password! LOL! When's the next CPG MOD Overhaul? I forgive you Mimo but I just wanted to say I made an acount on chobots just to meet and party with you!But I do like the game. I love chobots but really can you please have a Clubpenuin party soon. I figured out my password! LOL, now I'm just waiting! I forgive you mimo. don't worry. i'll be there. Maybe because you need to download something. hope that helps! Hey Mimo! this is about Club Penguin. The "Holiday" party stuff is still up! It was suppose to end on the 27, and its now the 28 and its still going! Did the Club Penguin directors forget about it? weird. Dear Violet Eagle Mimo is a famous person but he didnot MAKE THE GAME. He is in contact with the teams.Sometimes the teams gives him a oppturinty. I've joined Chobots!!! Now I can get to that party woo hoo!! You need to have at least five logged in. If you have five coin codes logged in, you will get the page...and the whole series 6 book to choose from! I would know, I've logged in five codes before, it's sweet! Hope I helped! I just got a Chobots! 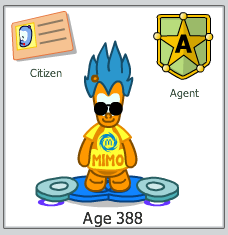 I am, of course, still Hnwjanuary11, but now I can't get in to Mimo City! If I miss the party, sorry...It's in about 7 minutes, I will probably miss it. I am pink with that green "Mimo" hoodie item thingie...And I don't have time to earn money to buy a new girlie outfit, so yeah...I hope I make it! The holiday party on Club Penguin was extended. I am having a party! Plz post this mimo! Your parties are too out of hand my whole PC crashed because of too many people there and loads of speaking! Ahhhh... I got logged off!!! Lol, my computer was so slow during the party! I was trying to find Mimo, it was hilarious, all the characters were changing into snowflakes and snowmen and stars; I had a blast! But my computer had to log me off of the Internet for some reason, so that's why I'm not on right now. It was my first Mimo party! I didn't get any free items, but I had fun anyway! Thanks for a great time! Mimo you are so awesome! Awesome party, Mimo! This was my first party, but it was definitely the best! Haha... love you! Hey Mimo, the party was soo much fun and it was my first party it logged me off and i wasnt able to see u soo i got really upset but then you came back and i was sooo happy but i didnt get the blue outfit i begged u for it and u said lol when i said "im a good girl plz mmimo". but thx it was a koolio par-tay and i will be going to the next party!!! its a awsome party!!! i loved it!! dude if this is a clubpegnuin site then dont post stuff like this!! Yes you should get a webosaurs and chobots. They are both pretty fun and you should just try it and if you don't like it you can just stop playing. It's a secret! :) No one knows how Mimo does some of the things he does! I didn't manage to get to the park. I got in the server! I thought "yeh I'll get there real early like 30 minutes early" But it was already full! Anyway I had to go eat my dinner so I couldn't go in anyway! P.S. By the way my names Marrygold on there! Don't know why but it is! hey mimo, how do you make a shirt like that?